I love a nice Quiche. 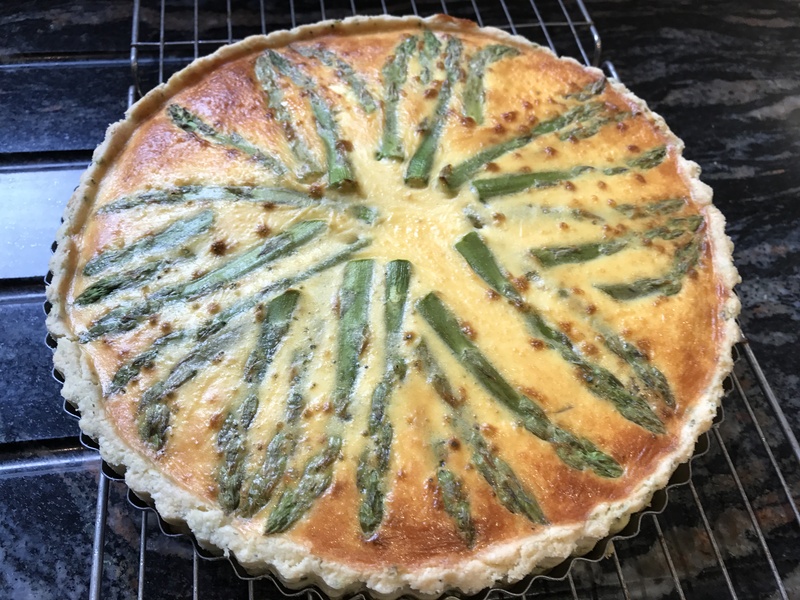 Asparagus being one of my favourite vegetables plus a herby pastry makes this a rather delicious meal. I used dried basil in the pastry but mixed herbs would work, or any fresh herbs available. Gluten-free pastry is a little different to work with than ‘ordinary’ pastry but I find this mix rolls out well and is very like a short crust pastry in taste and texture. Blitz all the pastry ingredients (except the water) in a food processor until they resemble large breadcrumbs (not too fine). Add the water and blitz until just starting to cling together. Using your hands, form into dough. Wrap in cling film and chill for fifteen minutes. Roll out on a floured surface to approximately 1/8” thick and line a 9” flan ring, pressing the pastry into the edge with your fingers. Cut off any over-hanging pastry. Chill. 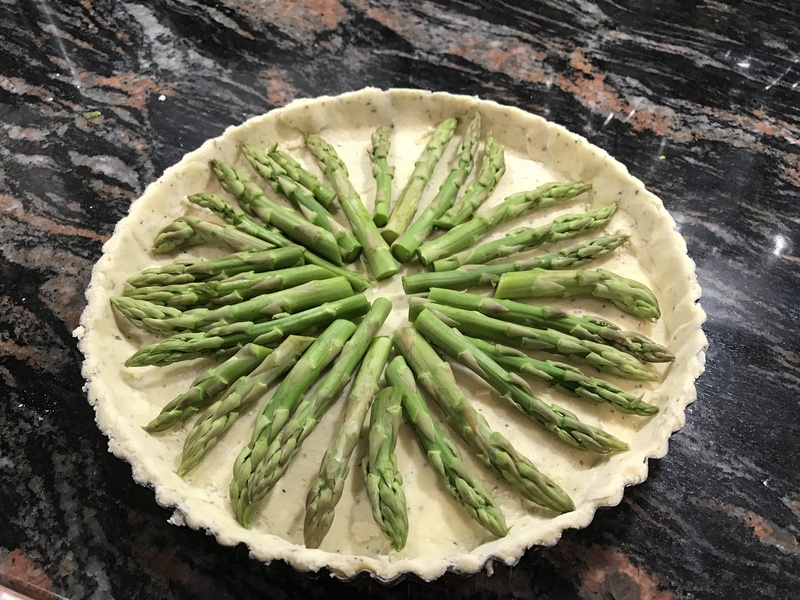 Cut the ends off the asparagus tips and discard (if dry) and use the tips to fill the pastry base. Whisk the eggs with the milk, season with salt and pepper (to taste) and carefully pour over the asparagus. 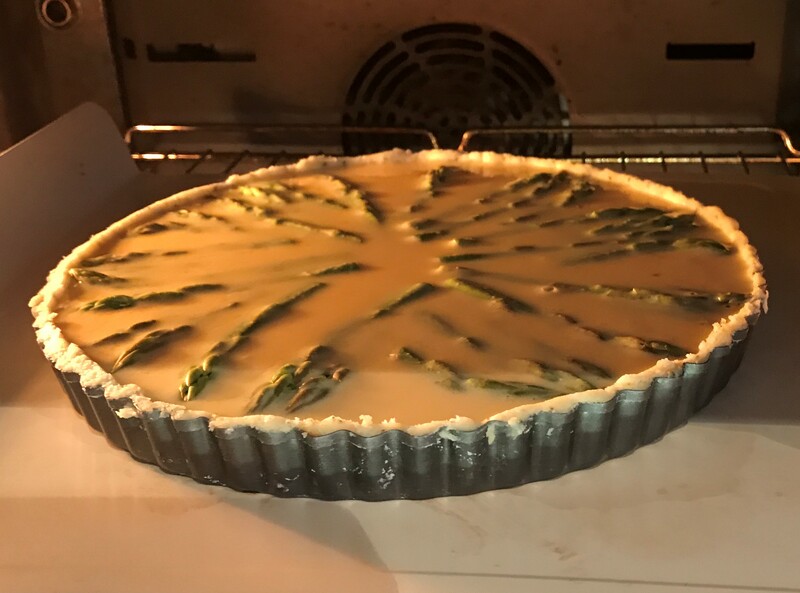 Place the flan ring on a baking sheet and bake at 170°C for approximately 40 minutes or until the eggs have set and the top is a lovely light golden brown. Leave to cool slightly before slicing and serving with a fresh leaf salad and perhaps a drizzle of balsamic glaze. 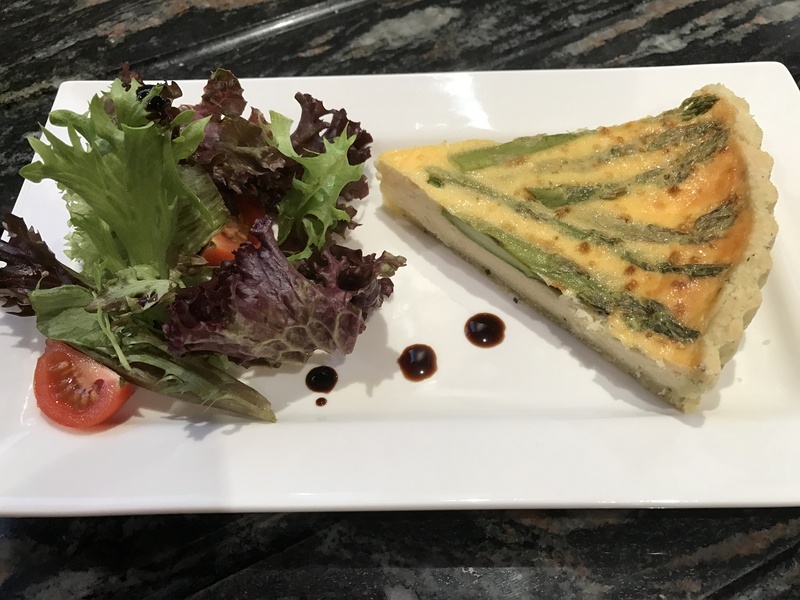 This entry was posted in Dinner, Lunch, Vegetarian and tagged Asparagus, coconut flour, Cooking, Dinner, Eggs, Fromage Frais, Gluten Free, Healthy Eating, Lunch, Quiche, Supper, Vegetarian, Wheat-Free. Bookmark the permalink. Thankyou so much for this quiche recipe, as quiche is a favourite of mine. Looks really yummy. Will be having a try of this. I was really pleased how it turned out, especially the gluten-free pastry. Thank you for your comments.